Saturday, Jan. 19, 11:30 a.m. to 2 p.m. at Cathedral Square. Teams of police officers will compete against each other with their best chili recipes. Tickets cost $5 per person, free for children 5 and under. Tickets can be purchased at police headquarters (2460 Government Blvd. ), MPD Crime Prevention (2407 Airport Blvd.) or at the Downtown Mobile Alliance (261 Dauphin St.). Proceeds benefit the Mobile Law Enforcement Foundation and MPD Crime Prevention Unit. For more information call 251-208-1924. Mobile County Democratic Executive Committee meeting Wednesday, Jan. 16, 6 p.m. at West Mobile Regional Library. Visit mobiledems.org. Thursday, Jan. 17, 5:30 p.m. at the Historic Oakleigh House. Join us for a behind-the-scenes tour and get the real story on the past 185 years at Oakleigh. This includes items not currently on display. $10 per person, free for HMPS members. Call 251-432-1281 for details. Thursday, Jan. 17, 9 a.m. to noon at the Bay Minette Civic Center (301 D’Olive St.). More than 45 employers will participate, representing the health care, industrial, hospitality and retail industries. All job seekers, veteran and civilian, are welcome to attend. Call 251-937-4161 or BayMinette@alcc.alabama.gov. Thursday, Jan. 17, 2-3 p.m., Fairhope Museum of History. Guest speaker will be Bryant Whelan, director of the Eastern Shore Art Center. Contact 251-929-1471 or visit fairhopeal.gov. In conjunction with the March for Life in Washington D.C., this local event strives to show the diversity of the pro-life movement. Friday, Jan. 18, 9 a.m. at Cathedral Square. Optional mass will be held in the Cathedral at 9 a.m. Rally begins at 9:45 a.m. with march through downtown Mobile at 10:45. Visit marchforlifemobile.org. Friday, Jan. 18, 7-9 p.m. at Serda Brewing. Join us as we launch Wintzell’s Oyster Stout, which will be available along with Wintzell’s famous oyster bar to purchase oysters by the dozen and live music by Brittany Grimes. For more info call 251-219-7081. Sat. Jan. 19, 8:30 a.m. – 11:30 a.m. Presented by Mobile United and hosted by community partners. 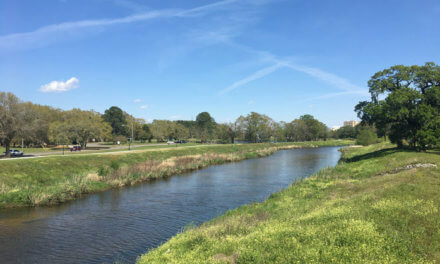 1 Mile Creek and 3 Mile Creek Cleanup meet at Tricentennial Park; Eslava Creek Canal Cleanup meet at Walmart (101 East Interstate 65 Service Road South). Search “MLK Day of Service” on Facebook. Hosted by Exalté Magazine on Saturday, Jan. 19, 8 p.m. at GulfQuest. Showcasing the most cutting-edge designers and high-style boutiques across the coast. Doors open at 7:30 p.m. Search “Coastal Fashion Week” on Facebook for details. Saturday, Jan. 19, and Sunday, Jan. 20, at Abba Shrine Events (7701 Hitt Road, Mobile). Admission is $3. Bring a new toy for a chance to win a door prize. Free child ID provided by The Masonic Alabama Grandlodge. Friday, Jan. 18, 1-3 p.m., West Regional Library. Meet best-selling author Marie Benedict as she introduces her latest work, “The Only Woman in the Room,” based on the life of Hedy Lamarr. Call 251-208-7097 or visit authormariebenedict.com. Saturday, Jan. 19, 10 a.m. to noon at Daphne Library. Guest speaker is Carrie Dalby, author of three novels, who will present “Get Possessed with Writing: Tips and Habits to Boost Your Productivity.” Visitors are welcome. Mobile Mystery Dinner, Saturday, Jan. 19, 7 p.m. at Nexus Cinema Dining. Advance reservations required; email kathy.jones@nexuscinemadining.com. Saturday, Jan. 19, 12:30-2:30 p.m., City of Mobile Animal Shelter (855 Ownes St.). Mobile County Health Department will provide $10 rabies shots for dogs, car and ferrets. Meets the 3rd Saturday at 9 a.m. every month at Mobile Bay Harley-Davidson (3260 Pleasant Valley Road). Next meeting is Jan. 19 at 9 a.m. Visit mobilebayharley.com. Sunday, Jan. 20, 2 p.m. at Confederate Rest Magnolia Cemetery (Virginia and Ann streets). Period re-enactors, costuming and weaponry. Public welcome. For information call A. J. DuPree, 251-421-0491. Monday, Jan. 21, 6 p.m. at Westminster Presbyterian Church. Meet and greet begins at 6 p.m., meeting at 7 p.m. Visit mobilegop.org. Tuesday, Jan. 22, 9:15 a.m. at St. Joan of Arc Women’s Club (1260 Elmira St., Mobile). Mass at 11:15 a.m. followed by lunch ($13). For reservations contact Carlee Russell, 251-533-4771, or Betty Robertson, 251-423-5138. Wednesday, Jan. 23, 10:30-11:30 a.m., Extension Forestry Agent Beau Brodbeck will discuss managing some of Alabama’s worst invasive plant species. Visit bellingrath.org to view the full schedule of Winter Wednesdays in January and February; call 251-459-8864 to register. The Mobile Jewish Film Festival continues through Jan. 27 at several venues in Mobile and Baldwin counties. For screening times and tickets, visit mobilejewishfederation.org. Through Feb. 18, Gulf Shores Welcome Center (3459 Gulf Shores Parkway) will offer free educational lectures highlighting local interests such as military history, nature and local artisans. Lectures last approximately 60 minutes. For a complete list of events, visit gulfshores.com/plan/welcome-centers. Wednesday, Jan. 16, 7 p.m. at Serda Brewing. For every beer or glass of wine sold, $1 will be donated to Animal Rescue Foundation (ARF). Free; family- and dog-friendly. Visit animalrescuemobile.org. Saturday, Jan. 19, 7 a.m. to 3 p.m. at Ruby Slipper Café (100 N. Royal, Mobile), join us for “Brunch for a Benefit” benefiting Rainbow Mobile. Ruby Slipper will donate 3 percent of the full day’s sales. Visit rainbowmobile.org. For the 16th year, Baldwin Bone & Joint hosts a project to collect shoes for the homeless outreach programs of Wings of Life and Family Promise of Baldwin County. Gently used athletic shoe donations will accepted through March 23. For more information and drop-off locations visit baldwinboneandjoint.com. Friday, Jan. 18, 7:30-9:30 p.m., Joe Jefferson Playhouse. A musical based on the 1974 comedy film of the same name. For tickets visit joejeffersonplayers.com. Sunday, Jan. 20, 3-6 p.m. at the University of South Alabama Laidlaw Performing Arts Center. The Miró Quartet is consistently praised for its deeply musical interpretations, exciting performances and thoughtful programming. For tickets visit mobilechambermusic.org. Chickasaw Civic Theatre presents “Smoke on the Mountain” Jan. 25-27 and Feb. 1-3. A fun, family-friendly musical telling the story of a Saturday night gospel sing at a rural church in the North Carolina Smoky Mountains in 1938. For tickets visit cctshows.com or call 251-457-8887. Through Feb. 23 at Eastern Shore Art Center. Fairhope artist and historian Dean Mosher has created nine murals for the state’s bicentennial, two of which are on display for the very first time in this exhibit. Visit esartcenter.org. Saturday, Jan. 19, 11 a.m. at USA Archaeology Museum. Join us for our January family day event where kids can make their own wooly mammoth, throwing spear or rock art. Admission is free. Call 251-460-6106. Jan. 17 through April 20 at the History Museum of Mobile. Join us this Carnival season as we roll through four centuries of Mardi Gras history with Mobile’s Carnival traditions, mystic societies and more. Visit historymuseumofmobile.com. Saturday, Jan. 19, 7:30 p.m. at Mobile Civic Center. Monster trucks will compete in racing and wheelie contests, as well as meet the drivers and see trucks up close at the preshow. For more information visit the Mobile Civic Center Box Office (401 Civic Center Drive) or call 251-208-7906. Saturday, Jan. 26, 1:30 p.m. at Ladd-Peebles Stadium. For complete information on practice schedules, “Meet the Player” and all events prior to game day, visit seniorbowl.com. Inaugural “Battlefield Blitz” on Saturday, Jan. 26, 8 a.m. at Historic Blakeley Park. Participants will wind their way through a custom course along portions of one of the nation’s best-preserved battlefields, where Union and Confederate forces clashed more than 150 years ago. Preregistration is $20. Visit blakeleypark.com/events. A three-race half-marathon series, whether you run, walk or wheel to the finish line. Series begins with The Big Beach Half-Marathon on Jan. 27 followed by the Sea Turtle Half-Marathon on Feb. 16. Register for Run the Beach at GulfShores.com/Sports/Run-the-Beach. Mitternight Park Pool Club (off University and Moffett) is open Wednesdays, 6-8 p.m., for those seeking a wholesome place to play pool and bumper pool. Instructor Dwayne Rapp will be there to help any beginners. Call 251-463-7980 or 251-208-1610. Laun Park Table Tennis Club (off Cottage Hill and Demetropolis) is open Mondays and Tuesdays, 6-8 p.m., for all interested in playing table tennis. Coach Mike Ho is available to play or help with beginners. Call 251-463-7980 or 251-208-1610. Bingo every Tuesday and Thursday, 1-3 p.m. Open to the public. Via Health, Fitness, Enrichment Center, 1717 Dauphin St. (Mobile), 251-478-3311. The second and fourth Sundays of each month, 8-10:30 p.m. at Dreamland Skate Center (5672 Three Notch Road) with DJ Beaux; $5. Call 251-661-6997. Wednesday, Jan. 16, 6 p.m. at Junior League of Mobile headquarters (57 N. Sage). Featuring a panel of female doctors providing health information along with preventative health screenings. Includes food, drinks, swag bags and giveaways; 21 and up only. For tickets visit juniorleaguemobile.org. Lifelines Counseling Services will host “Helping Children Cope with Divorce,” an educational program focusing on how effective parenting can lessen the negative impact of divorce and parental separation on children. Saturday, Jan. 19, 8 a.m. to noon at 705 Oak Circle Drive East (Mobile). Sign up at lifelinesmobile.org. Saturday, Jan. 19, 10 a.m. at Mobile Marriott (3101 Airport Blvd.). Hosted by Class 101 Mobile, students can take a full ACT practice test in a simulated test environment. Students can receive test scores and identify areas of improvement at no cost by appointment following the test. Seating is limited. Call 251-450-8141 for reservation.